CSNA launch invitation to retailers nationwide to attend their National Conference! 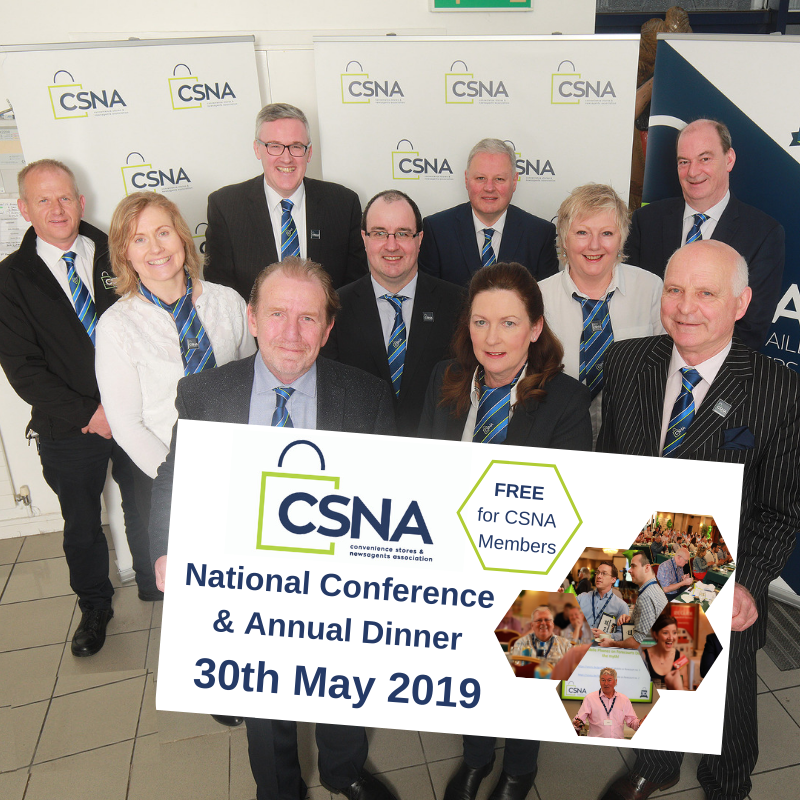 Today, CSNA launched its much anticipated National Conference and Gala Dinner which will take place at Fitzpatrick Castle Hotel, Killiney, Dublin on Thursday, 30th of May. The association which represents over 1,500 Convenience Store Owners and Newsagents has set an educational theme for the event rolling out a programme based on the philosophy “every day we are learning”. Retailers from all over Ireland are expected to travel in their droves to hear of the latest insights, trends and innovations coming on stream in 2020. The conference is free for members to attend however, pre-booking is essential. Non-members can also book tickets online at a cost of €100pp. Please note that places are limited so early booking is advised to avoid disappointment you can book below. The agenda for the day includes keynote speakers, panel discussion, the CSNA AGM, networking opportunities and a series of exciting workshops on retail’s hottest topics. The conference will run from 10.00am until 5.30pm and all refreshments including a complimentary three course lunch will be provided for all delegates throughout the day. The CSNA Gala Dinner takes place later that evening and this VIP package includes a champagne reception, delicious five course meal, live entertainment and a selection of amazing prizes to be won on the evening. Tickets for members and the trade are available from The CSNA Office on 045 535050, at a cost of €125pp. For event updates and detailed programme information and to book your tickets today visit www.csna.ie.